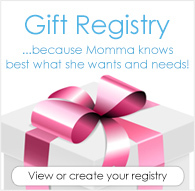 100% Certified Organic Cotton - Your child's skin will stay safe and free of harmful chemicals. Super Absorbent - Attached insert offers 10 layers of protection. 4 Rise Settings - More adjustability means a better fit! Designed to fit babies 8-35 lbs. Trim - Will fit under most clothes--even jeans! 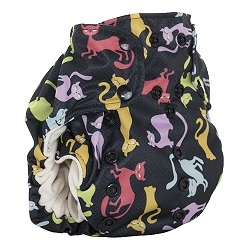 Quick Drying - Innovative design means this diaper will dry in one cycle on warm in most machines. Made in the USA - Smart Bottoms is commited to manufacturing in the United States and promotes fair labor practices. 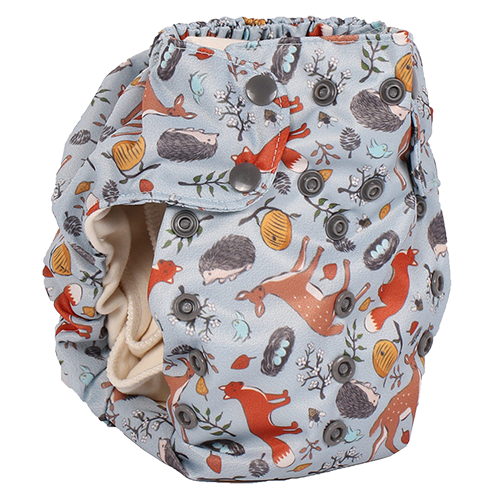 Prep: The 100% certified organic cotton in Smart Bottoms diapers has been minimally processed, which means there are still some natural oils in the fabric. It is recommended you wash your diapers 4-5 times before use to help remove some of the natural oils. Diapers will reach their maximum absorbency around 8-9 washes. Directions: Adjust the rise snaps and place the diaper under your baby. 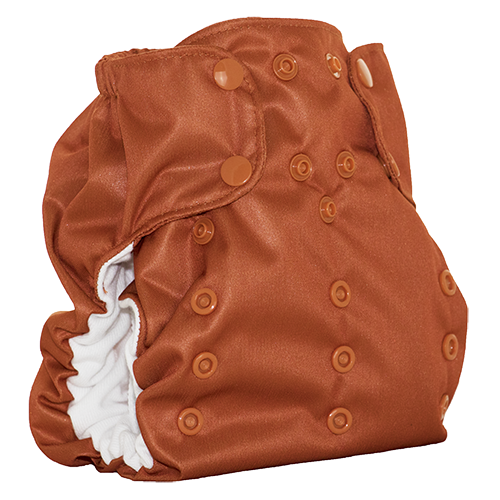 Fold the attached insert to fit your baby's needs, then pull the diaper up through the legs and fasten the waist and hip snaps. 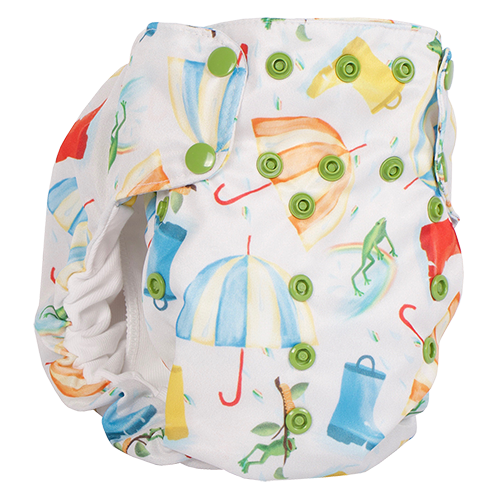 Remove diaper when wet or soiled and store dirty diapers in a dry pail. Do NOT soak. Wash Instructions: Shake solids into the toilet before placing diaper in the wash. Rinse with cold water. Wash on hot. Do NOT use the sanitize cycle. Run an extra rinse. Dry on warm or line dry. Do not use fabric softener or diaper creams. NEW 2016 DESIGN! 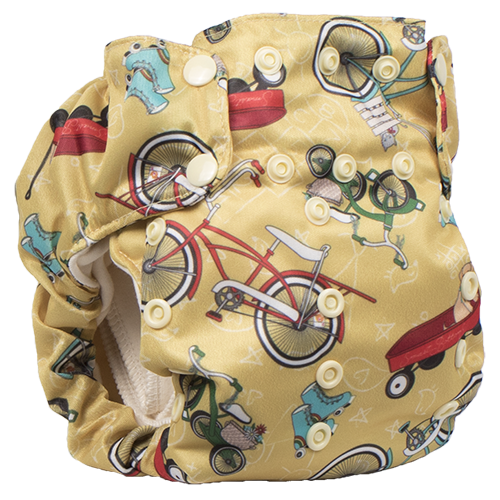 bumGenius Elemental is made with organic cotton inside. One-size, one-piece, a more natural option without compromising performance. I wanted to love these because of all the great prints but i'm not a fan. I don't think they hold that much and making sure the elastics are perfect is a pain. They do have very generous sizing though, so that's a plus! I love how soft the organic cotton is and how it’s easy to customize the obsorbency. I wish it had a few more layers because my kids seem to out pee pretty quick. The fit is great on our toddler for the most part. My biggest annoyance is that I have to add absorbency, especially at the price these come in at. My husband loves them though and always reaches for them first. And you can't beat the prints, they are super cute and well thought out! These are a quality diaper. 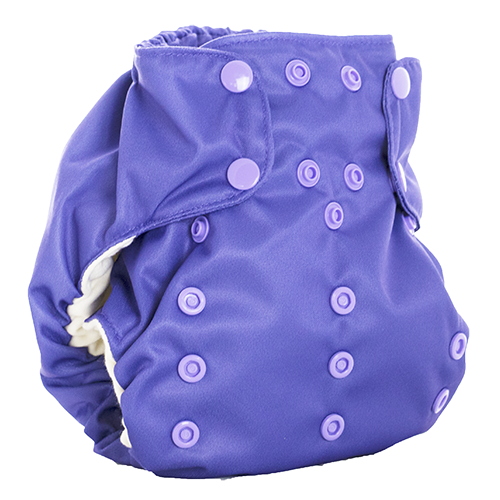 We personally prefer Blueberry Simplex to these since those are more absorbent for us, but my philosophy is that if you have a child who pees slowly, these are more absorbent. I think I have a child with a fast stream and it doesn't absorb as quickly as the simplex due to the differences in cotton texture. We have a few of these for the prints but the majority of our stash is Simplex :).